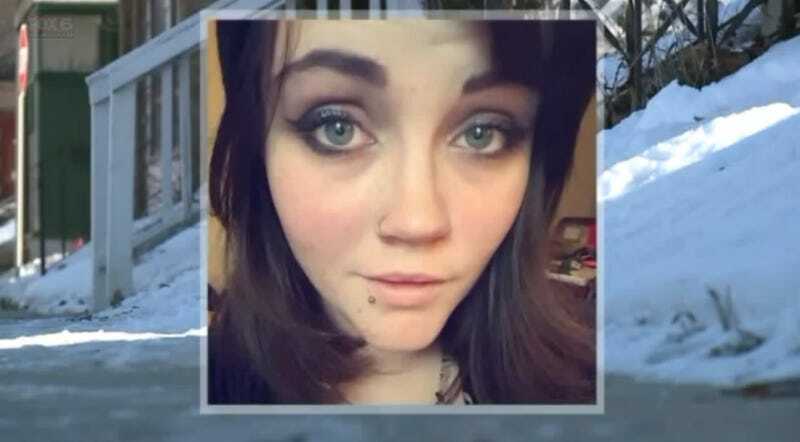 A Wisconsin woman found frozen to death on Sunday morning in Milwaukee has been identified as 21-year-old Elizabeth Luebke. According to reports, Luebke left a house party after having an argument with her friends, venturing outside in shorts and a tank top on a night when temperatures were well below zero. Luebke, who also went by “Lizzy” and “Lana,” is said to have attended a concert with friends the night before, then a house party nearby. She got into an argument with friends while there, a partygoer told Fox 6, and left the house. The people inside evidently assumed she had been picked up and didn’t go looking for her. When someone eventually noted her absence, they called her mother, who contacted police and filed a missing person’s report. The medical examiner’s report indicates that when found, Luebke was wearing “shorts, stockings and a tank top.” A sweater was also found on the ground near where her body was discovered.